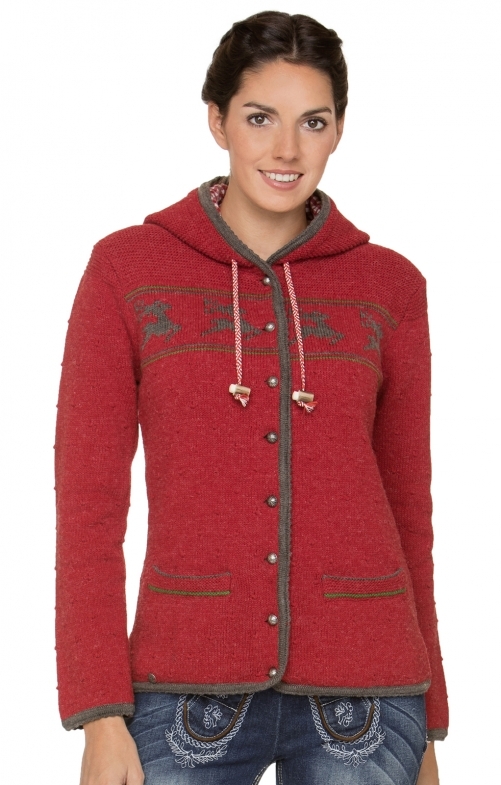 Traditional cardigan Ornella for women by Stockerpoint in red. This sporty cardigan made of a high-quality material mix is ​​lovingly refined by the traditional stag motif and the contrasting edges. The hood is lined with a check fabric and can be easily adjusted by drawstring. Sehr gute Verarbeitung, sehr gute Qualität, optisch Klasse. War bei dem Preis echt am überlegen - die Jacke ist den Preis wert.